This will be a little puzzling for most of you, but I had to share. See, John has a budding bromance with the Media Relations Director of Dragon Con, Dan Carroll. 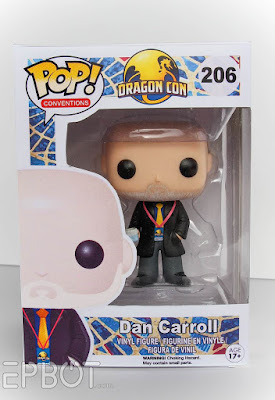 I've talked about Dan here before; he's the huggable-but-fierce protector of all geeks, and to know him is to love him. 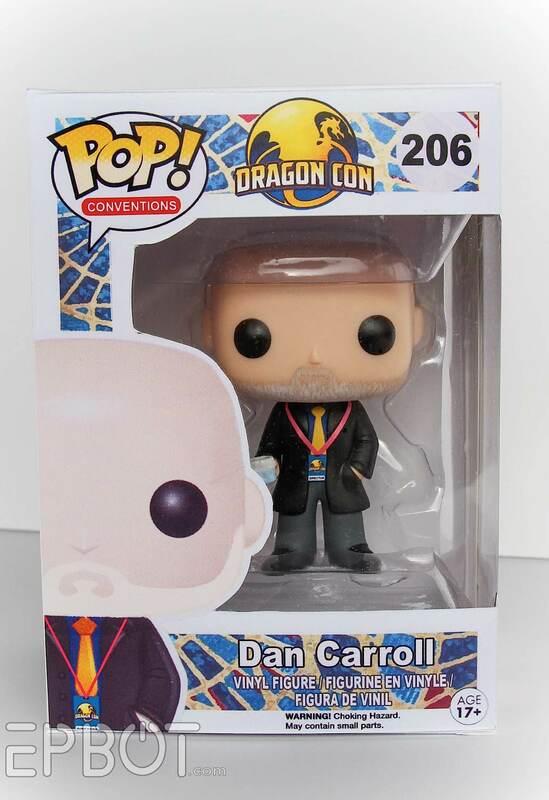 Anyhoo, three days before DCon we'd just finished our McKay Pop figure, and John got it in his head that we should make Dan one, too. I'm rather proud of the beard; Dan's fades from blonde to white, so it was tricky to paint. 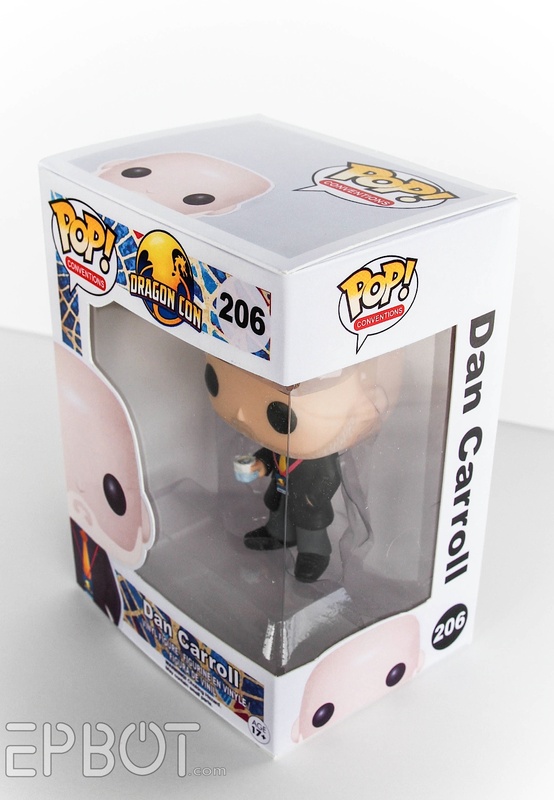 He changed "Pop! Television" to "Pop! Conventions", and then used the world-famous Marriott carpet pattern for the background. 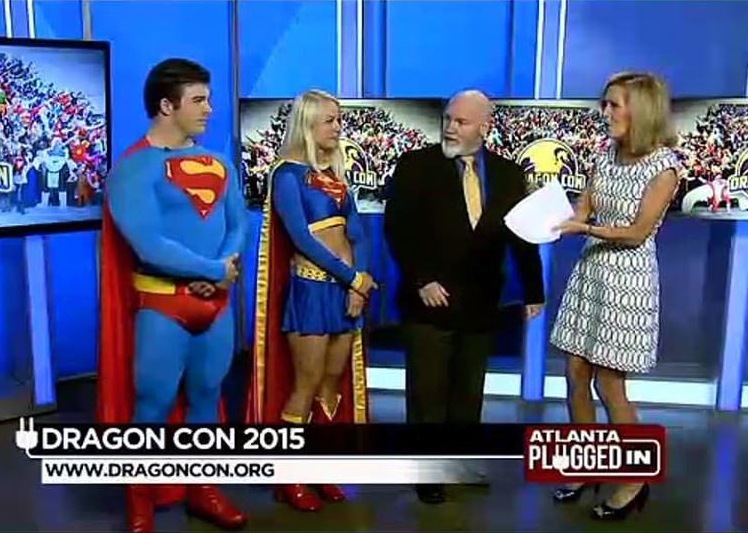 (DCon attendees literally make clothing and camouflage out of this pattern to wear to the con. It's a shame the hotel is replacing it!) The number is Dan's birthday. 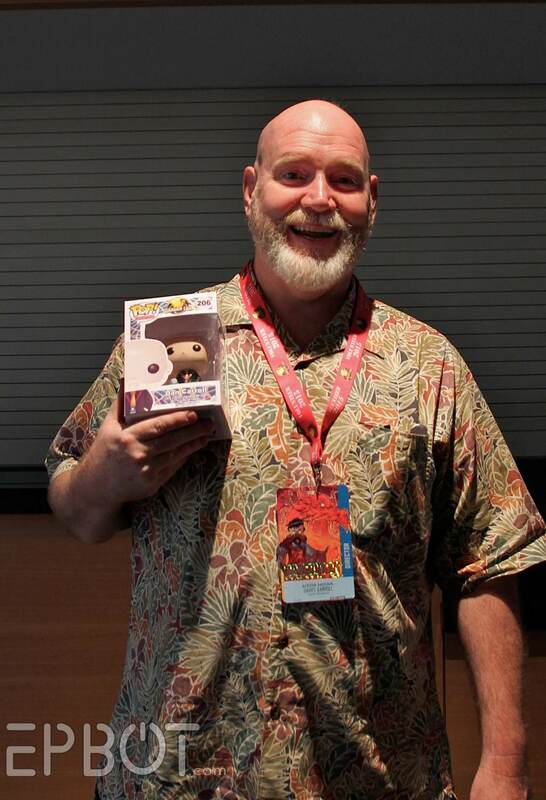 And here's Dan with his new Pop figure! This was a lot of fun to do - so much so that John's been talking about doing even more custom figures. Any suggestions? But first, we have a big project in the works that may please some of you: EPBOT PIN PACKS. And John's made even more designs! Woot woot! We'll have a limited number going up for sale on Etsy in just another day or two, so stay tuned! You and John are so amazing - you're both so talented, and then you share those skills by making gifts and tutorials. 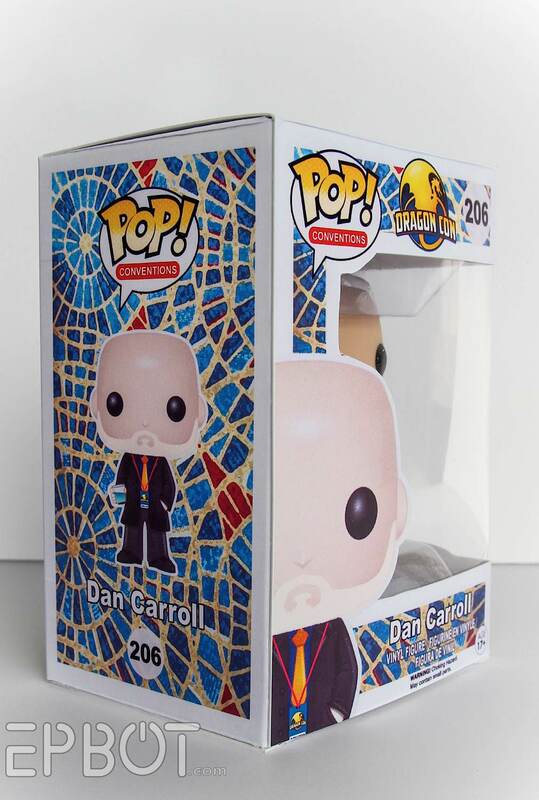 Labyrinth POPs would be amazing! Excited about the pins! I love my original epbot pin, but I won't have a chance of scoring any more in person from across the country. So, yay! Also, you two are so fun and thoughtful, I bet he loved his figure. Awesome job on the POP! Figure. How bout a Bill Nye the Science Guy or Neil Degrasse Tyson? Awesome! He must've loved it! Can't wait to see all the new pins John has made! I loved it more than any present I have ever gotten. 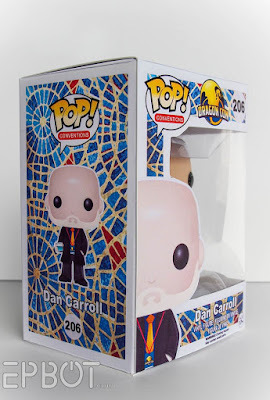 In my life I have made a national audience laugh on jeopardy!, I have gotten this pop vinyl, and I have become a father. Then everything else falls in behind these three. Suggestions?? Well Jen & John(thoj) figures of course!! If you want - make a set & auction them for your favorite charity. I second that. 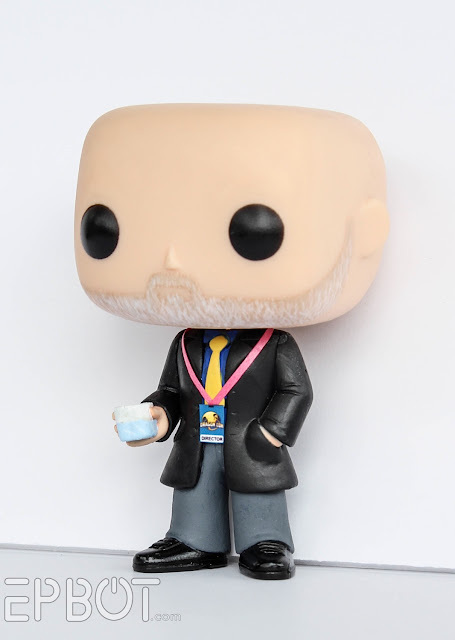 I would love a Jen custom pop. I was planning to make the same suggestion! Teal'c? Yvaine or Tristan Thorne? An Oz character? 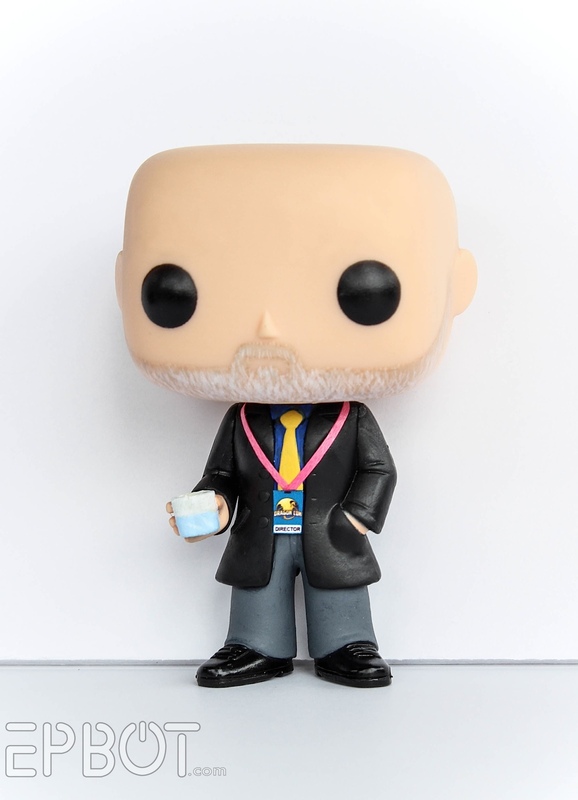 Love your custom Pops! LOVE this! I have personalized Barbies for friends over the years, so I completely understand your process on the personal details. And with most things, the packaging is always the finishing touch! It looks great! I bet he loved it! For your next Pop figures, how about Walt Disney and Hayao Miyazaki?? And John Lasseter! 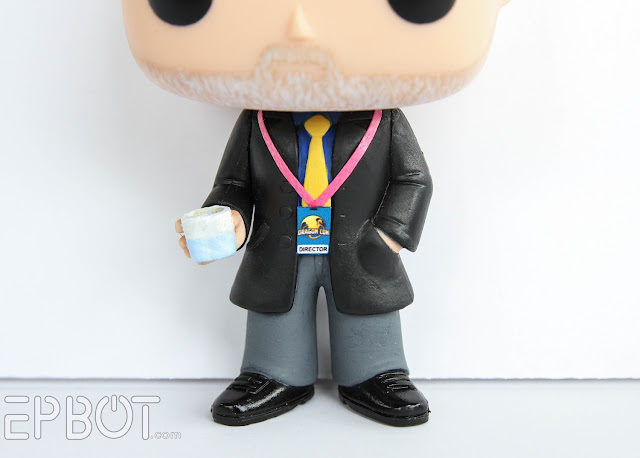 How about an Epbot Pop? I have seldom been blessed the way I have been with the friendship of John and Jen. I was a fan years before I met them. Two years ago in the middle of Dragon Con John brought me a sandwich to make sure I was eating. (As if that is a problem.) That year Jen wrote about me in such glowing terms that I didn't believe her. 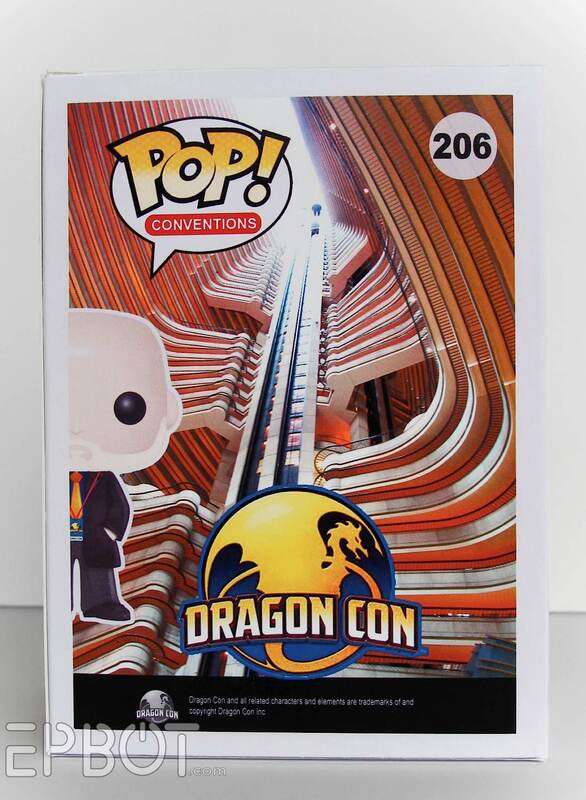 When they grabbed me in the hallway to give me this pop vinyl, I was just overjoyed to see them. When they gave me the figure I was overwhelmed. This was so beautiful and unexpected. Down to the slacks/blazer. Down to the lanyard color. Down to the way it made me cry. Dan, you sound like a great guy! I definitely teared up at this! Jen and John, you have no idea the impact you guys make. Through giving to others such as Dan, you give to me as a reader. I love being an audience to your kindness and generosity. You guys help to make the world a way better place to be in. It is official, you guys just don't ever sleep and constantly regenerate right? On a tech note, what printer do you use for the pins & boxes? they come out so wonderfully. How about Felicia Day? She's another geek hero that deserves to be honored. Can you two please start filming a reality show so we can all just hang out with you?! Suggestions: You should make the characters from "Paul"
This could be a great charity opportunity. Maybe have a raffle. Set up something to have people donate $5 per entry to your favorite charity. Then draw a name and make a pop figure of the winner. I imagine you might raise at least $200 for your favorite charity! That is awesome. You totally nailed the beard, by the way. truly ah-maz-ing!!! i love the idea someone had able of making a jenny lawson figure, or how about susan ivonava from babylon 5? i love her!! iso wish i could go to cons but crowds make me super nervous (I'm a need an escape route kind of gal) so watching you go to cons is like as if i was there! love it! I agree with Alicia and Eagle Archambeault. I bet molding her hair in those big curlers would be fun and gotta have the hair dryer in hand! Referring to Jenny Lawson, of course. See comment above. What an amazing thing to do! So much love going into that gift. If I were making one for myself, I'd choose Nathan Fillion as Captain Mal from Firefly. Or maybe David Tennant as the doctor. I love the previous commenter's suggestion of Bill Nye the Science Guy!! Or J.K. Rowling, you could put it out with your tree.